Transform Your Kitchen In Just One Day With Granite & Quartz Overlay Worktops! 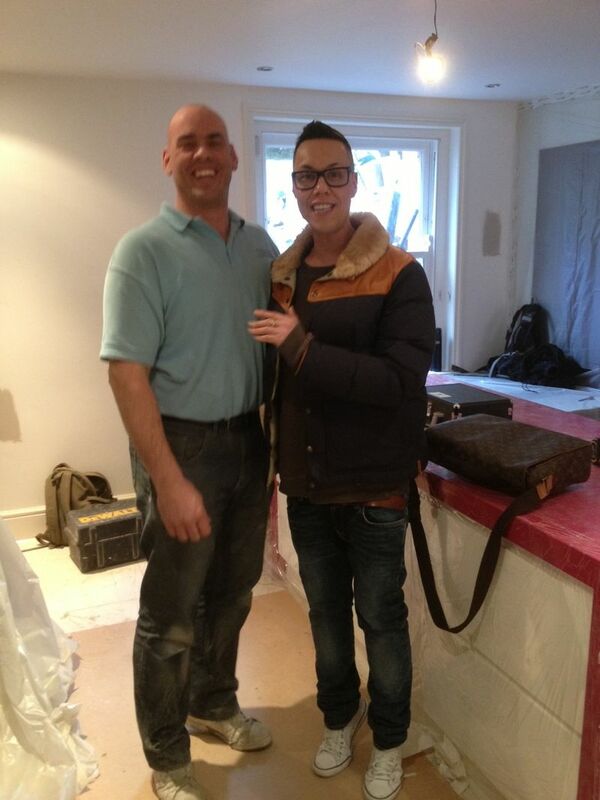 Gok Wan came to us as he wanted a bright pink island toned down! So we overlayed his existing island in a biscuit coloured quartz. This was the finnished product! please excuse the hugging! Overlay your existing worktops with very strong 8mm thick quartz. Less mess less fuss. Scroll down for the link for the virtual showroom and a few examples of overlay worktops. There is so many good reasons to invest in your dream kitchen, whether you want a more inspiring enviroment for creating meals or an attractive place for eating and entertaining. 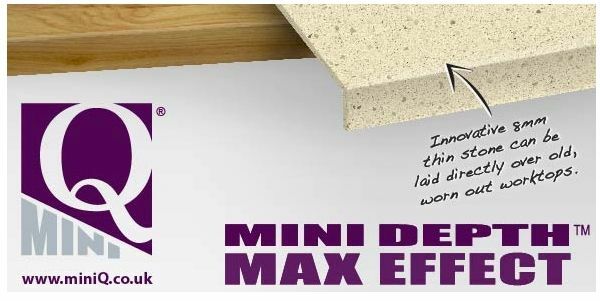 Now with MiniQ, you can the dream a reality,with stunning replacment worktops that are installed quickly, without fuss, right over your old worktops. manufactured to exacting quality standards.They are thin enough to fit perfectly over your old worktops but robust enough to stay in great shape for years to come. There are few materials that come close to solid stone for beautiful, practical kitchen worktops.